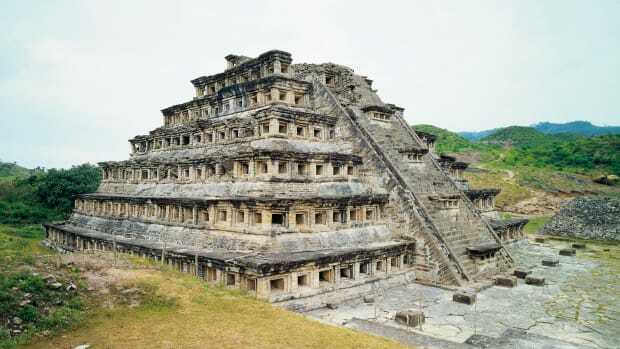 Between the 3rd and 9th centuries A.D, the Otomi established cultural centers, such as Ranas and El Cerrito and built a pyramid near the present-day city of Corregidora. For centuries, the Otomí–and to a lesser extent, the Tarascan and Chichimeca–were the ruling tribes in the region. In the mid-13th century, the region was conquered by the Aztecs. 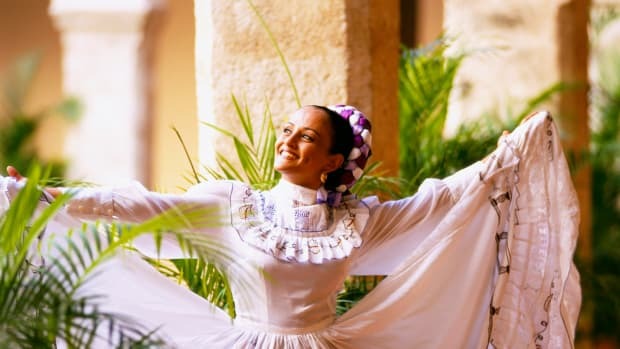 Middle History In 1521, the Spanish arrived in Mexico, and soon conquered indigenous populations all over the country. Cristobal de Olid entered the Querétaro region the following year. Although the arrival of Spaniards was generally met with resistance by the indigenous cultures, the Otomí people aligned themselves with the Spaniards and fought beside them to defeat the Aztecs living in the Querétaro region. As a demonstration of loyalty, an Otomi leader named Conin converted to Roman Catholicism between the years 1522 and 1526, changed his name to Fernando de Tapia and founded the city of Santiago de Querétaro on July 25,1531. Throughout the 16th and 17th centuries, the city grew and matured as an agricultural and commercial center. 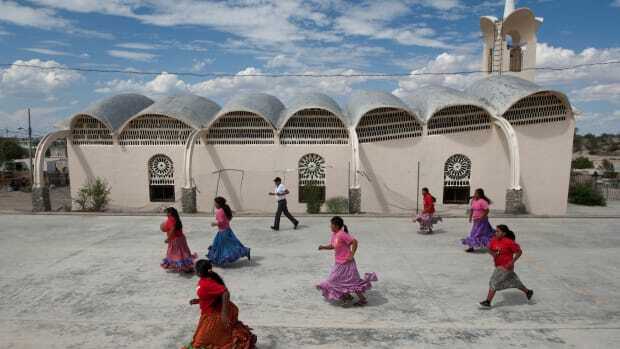 Its ethnically diverse population included Otomí, Tarascan, Chichimec and Spanish residents. Throughout the 17th and early 18th centuries, the city continued to grow. In 1736, the aqueduct at Santiago de Querétaro was completed. At 23 meters (75 feet) tall and 1280 meters (4200 feet) long, it remains an impressive feat of civil engineering. The aqueduct was designed to carry water to the city from nearby springs. In the early 19th century, revolutionaries in Querétaro began planning a rebellion against Spain, making the state the birthplace of Mexican independence. 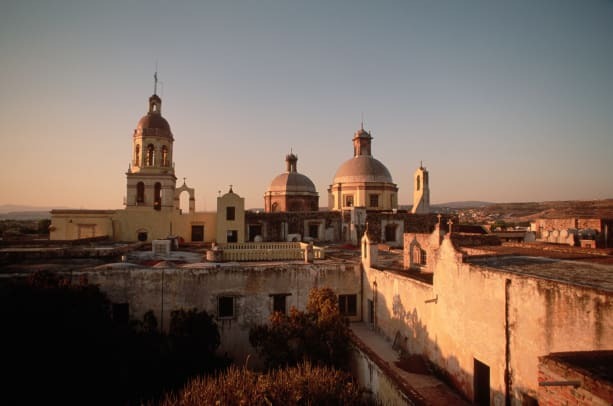 The Spanish city considered the city of Querétaro to be a critical seat of power and dubbed it “third city of the kingdom,” after Mexico City and Puebla, due to its strategic importance. On September 13, 1810, Spanish operatives learned of the plans for a rebellion, thus jeopardizing the success of the independence movement and compromising the safety of many key members. A supporter of the movement, Josefa Ortiz de Domínguez (known as La Corregidora), got word to the rebel leaders at San Miguel el Grande (now San Miguel de Allende) before the Spanish could attack their headquarters. The leaders of the local underground movement escaped unharmed, and three days later, Miguel Hidalgo y Costilla, a local priest, issued the famous Grito de Dolores (The Cry of Dolores) in the city of Dolores in the neighboring state of Guanajuato. The Mexican War of Independence had officially begun. 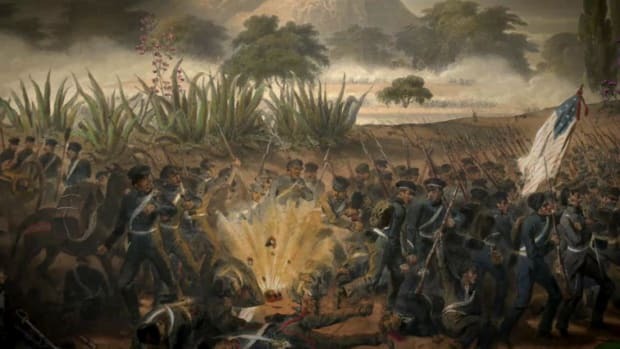 Although Hidalgo was captured and shot the following year, his call to arms was answered by rebel forces throughout the land, and the struggle for independence continued. 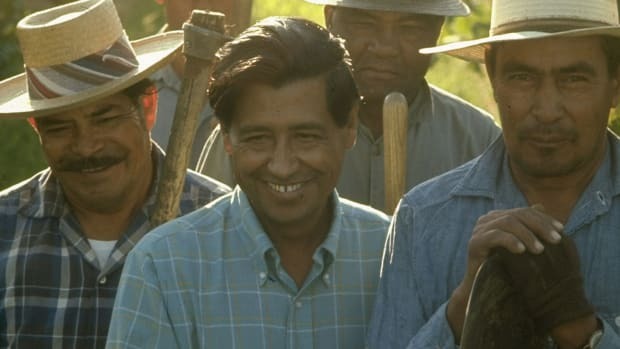 Forces loyal to Madero, Francisco “Pancho” Villa and Venustiano Carranza, fought for control of the government, supported by thousands of landless peasants who clamored for more rights and the fair distribution of land. 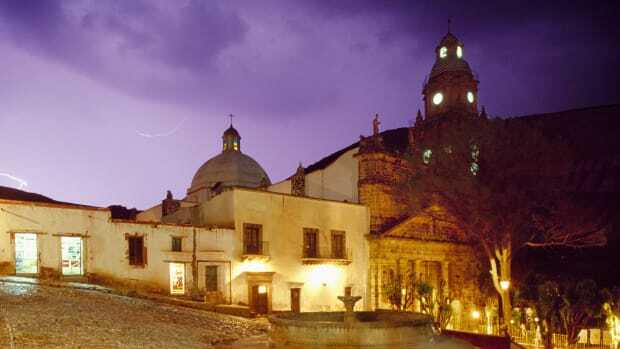 Throughout this time, Querétaro served as a headquarters for the revolutionaries. Eleven chaotic years later, in 1821, the movement for independence succeeded when Spain signed the Plan of Iguala, which established Mexican independence, Roman Catholicism as the national religion, and equality for all of Mexico’s people. For the next 20 years, the state, along with the remainder of the country, experienced political and social instability. 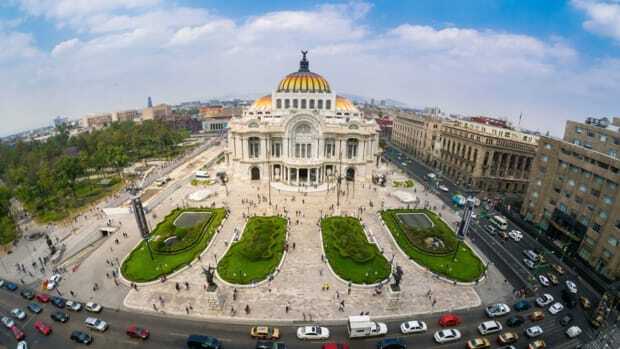 Recent History Mexico gained its independence from Spain in 1821; in 1824, Querétaro became a state despite never having been a province by virtue of its strong economy.Less than three decades later, the Mexican-American war erupted. In 1846, American troops invaded Mexico City. 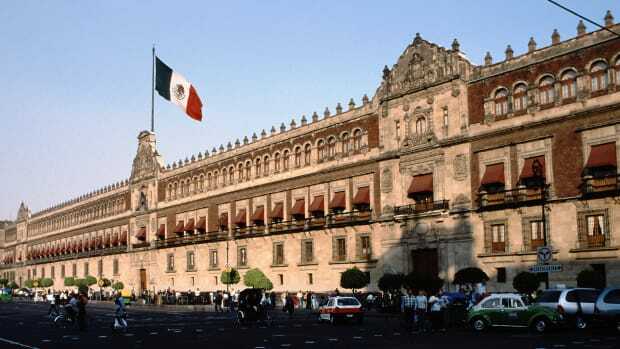 As a result, the city of Santiago de Querétaro became the temporary capital of Mexico. On May 30, 1848, the Treaty of Guadalupe Hidalgo, which ceded much of Mexico’s northern territories to the United States, was signed in Querétaro. In 1863, French forces led by Emperor Maximilian I of Austria arrived in Mexico after the country refused to pay its foreign debts. France occupied and ruled parts of Mexico between 1864 and 1866. They eventually withdrew due to the intervention of the United States, who aided the Mexican government and ultimately demanded that Napoleon III withdraw his French forces. Maximilian I was taken prisoner by Mexican nationals and executed in Querétaro on June 19, 1867, on the Cerro de las Campanas (Bells Mountain), thus ending the French occupation. Throughout the country, the following decade was marked by civil and political strife. Porifirio Diaz came to power in 1877 and began a period of relative stability. By 1910, after Díaz had maintained power for 30 years, growing agitation among the marginalized indigenous and working minorities along with anger and frustration over the harsh tactics of the Díaz regime led to the Mexican Revolution. Querétaro participated by sending state troops to other parts of the country to fight against the government forces. Once the Díaz regime was ousted, various revolutionary factions struggled for power. Finally, in 1917, a constitutional convention was called in Querétaro, and leaders worked bring an end to the internal squabbling of the revolutionary parties. Shortly after the convention, Venustiano Carranza, one of the revolutionary leaders, was elected president. The Partido Nacional Revolucionario (Institutional Revolutionary Party) was formed and a period of stability for Querétaro and the rest of the country began that lasted until 2000. Early History While little prehistoric evidence exists to determine the state’s early social development, historians believe that the earliest Querétaro inhabitants were probably the Otomí, a sophisticated society that established the city of Tula in nearby Hidalgo around 900 A.D. This indigenous race had, by this time, settled throughout central Mexico. Their culture relied on agrigulture and livestock, spinning, weaving and pottery. The Otomi–who were firmly established in central Mexico before the mysterious Tenochtitlán Empire appeared around 700 A.D.–extended their influence upon neighboring cultures, including those of nearby Querétaro. Did you know? 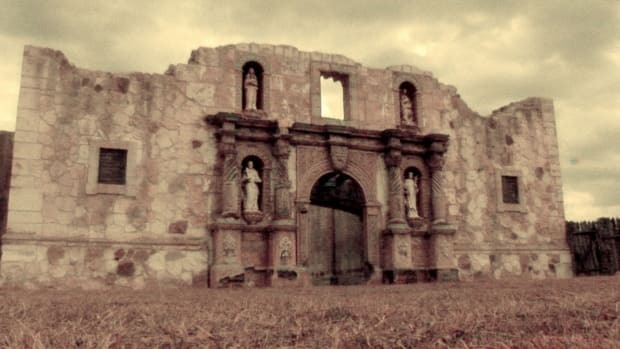 In the early 19th century, revolutionaries in Querétaro began planning a rebellion against Spain, making the state the birthplace of Mexican independence. The Spanish city considered the city of Querétaro to be a critical seat of power and dubbed it "third city of the kingdom," after Mexico City and Puebla, due to its strategic importance. Querétaro&apos;s low crime rate and high standard of living have made it an attractive place for immigrants and investors. The state is also noted by the NGO Transparencia Mexicana as having the lowest levels of corruption among all Mexican states. In 1986, the city of Querétaro hosted the Fédération Internationale de Football Association (FIFA) World Cup championships. Manufacturing accounts for about 32 percent of Querétaro’s economy, followed by trade at 19 percent, service-based companies at 18 percent, transportation and communications at 11 percent, finance and insurance at 11 percent, agriculture and livestock at 4 percent, construction at 4 percent, and mining at 1 percent. Most of the state’s manufacturing companies are located in or around the city of Querétaro. Carnation and Purina are among the best-known food processing companies with facilities in the state, and numerous textile mills manufacture clothing made of wool, cotton and henequen (a type of tropical plant). One of the biggest employers in Santiago de Querétaro is Tremac, an auto parts manufacturer. One of the leading milk producers in the country, Querétaro farms also breed livestock and dairy cows. Leading cash crops are beans, cabbage, alfalfa, onions, lettuce and sorghum. 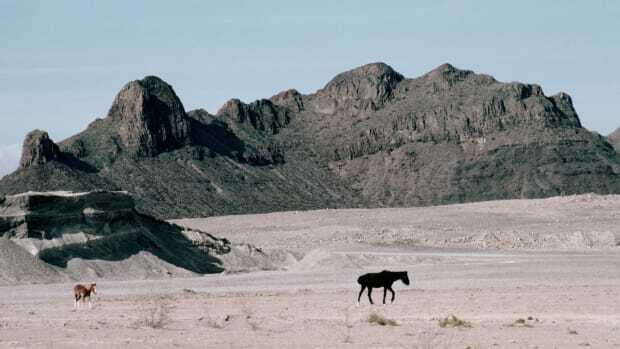 Rich mineral deposits run through the state’s mountains and valleys, yielding silver, iron, copper and mercury. Opal mining is another lucrative state resource. Querétaro’s coat of arms contains a shield with three sections. On one is a horseman representing the Santiago, the patron saint of Spain; on another is a grape arbor that commemorates the state’s wineries. The third section depicts a cross-bearing sun, which is thought to signify the church. The flag of Mexico is draped behind the shield, which is topped by the Mexican national symbol, an eagle on a cactus with a snake. The capital city of Santiago de Querétaro is known for its 74-arched aqueduct built in the early 1700s. The aqueduct rises 23 meters (75 feet) above street level and conveyed drinking water to the city from regional springs until 1970. 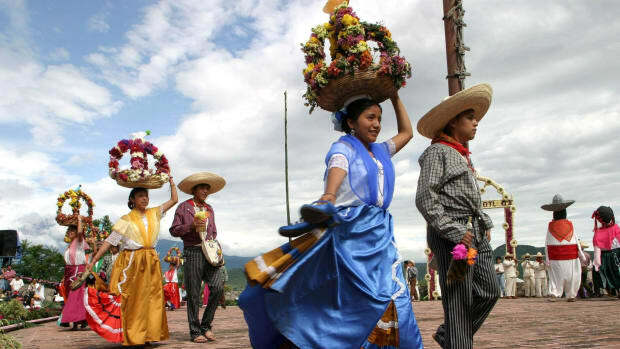 Thousands of visitors and participants flock to the city of San Joaquin every April for one of the most important Huapango contests in the country. Huapango is a popular musical style from Huasteca, an area in northeast Mexico. The city of San Sebastián Bernal is home to the third-largest monolith in the world, La Peña de Bernal. Considered sacred by the Chichimeca, the geological formation dates back to the Jurassic period more than 100 million years ago. Emperor Maximilian who was installed by the French government to rule Mexico in the 19th century, was executed in Querétaro at the Cerro de las Campanas in 1867. The narrow streets and hot spring spas of Tequisquiapan gives the city a distinct colonial flavor. The state’s name is derived from Queréndaro, a Tarascan word for “place of the crags,” which probably refers to the area’s mountains. The Otomíes called the area Mxei, which means “place where the ballgame is played,” perhaps an allusion to a large gorge east of present-day Querétaro whose walls resemble the ball courts of the Mesoamerican Indians. 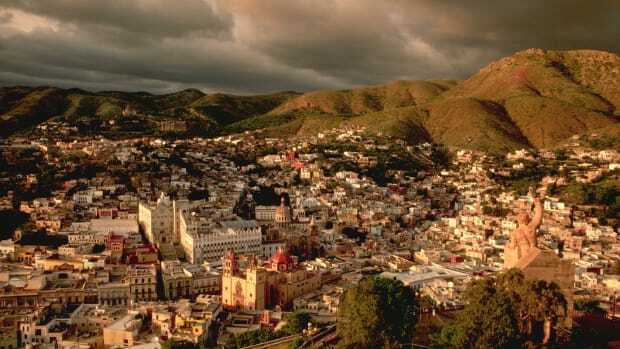 Querétaro is home to part of the Central Highland Plateau (Mesa Central) and two large mountain ranges: the Sierra Madre Oriental and the Transversal Volcanic System. Also located in the state is the Peña de Bernal, the third largest rock in the world after the Rock of Gibraltar and Sugarloaf Mountain in Río de Janeiro. Aqueduct Construction of the Queretaro aqueduct began in 1726 by Juan Antonio de Urrutia y Arana and was completed on October 19, 1738. The 1,280-meter (4,200-foot) aqueduct transported water gathered from various springs to fountains within the city’s convents and plazas. Although the aqueduct is no longer used to bring water to the city, it is now a popular tourist attraction in the area. The Cerro de Las Campanas is the hill where, on June 19th, 1867, the emperor Maximiliano de Habsburgo was executed along with General’s Miguel de Miramon and Thomas Mejia. Controversy surrounds his last words and the significance of the gold coins he gave to the men who were to execute him. Two of Querétaro’s cities, San Juan del Río and Ezequiel Montes, have thriving vinicultures. One notable vineyard in the area is Finca Freixenet, which benefits from weather conditions that are ideal for growing wine grapes. The 45-hectare vineyard grows four varieties of grapes: Saint Emilion, Macabeu, Sauvignon Blanc and Pinot Noir. A cave 25 meters (82 feet) below ground maintains a constant and ideal climate for wine cellaring. Querétaro’s Historic Center encompasses magnificent colonial buildings, squares, fountains and churches that were once backdrops for many dramatic events from the state’s past. 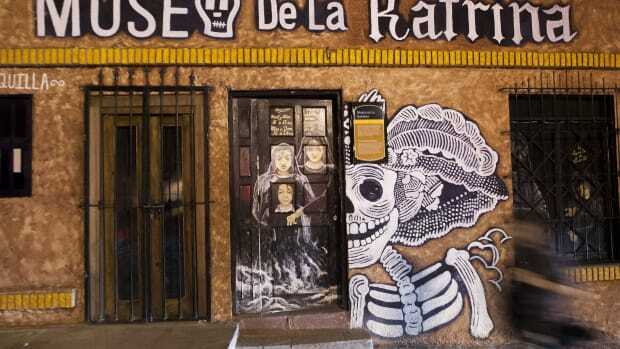 Two buildings, La Casa de la Zacatecana and La Casa de Don Bartolo, are enshrouded in mysterious legends. The Querétaro Museum of Art, also in the Historic Center, exhibits work from the 17th century to modern times. Formerly the San Agustin convent, the museum is home to several masterpieces reflecting various national and foreign art movements.